I'd like to welcome Nick to Muzik Dizcovery. He will be covering plenty of pop-punk bands and will bring his knowledge of the genre to our posts. In the pop-punk world right now, over-saturation is a common issue. Countless bands take the Set Your Goals and Four Year Strong style and imitate it. It's always a joy when one finds a band with their own special twist. 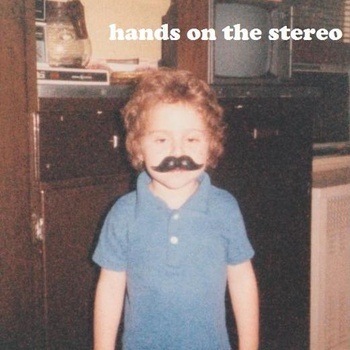 Hands On The Stereo is that said band. From the moment their self titled EP starts with the opening crunchy guitar lick, you know you're in for a healthy dose of pop punk goodness. The band shows a ridiculous amount of energy throughout their debut effort, and undoubtedly will gain a heavy amount of buzz in the coming year or so. They're currently in the process of getting ready to record their new EP, which is sure to turn alot of heads when released. The band has created a kickstarter page in which you can donate to help fund recording costs, with some pretty sweet deals depending on how much you donate. You can stream and download their debut EP for free here, and check out the kickstarter page here.